Metrowest MA Heating, AC & Electrical Experts for Over 85 Years! 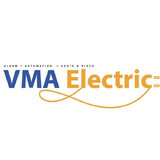 VMA Electric is uniquely equipped to handle any electrical need, since over the years we have grown our services and personnel to not only include licensed electricians, but also a complete team of licensed professionals in the areas of Security, Home Automation, Home Theater, Fire Alarm, & Computing Wiring. Our Team will work carefully and efficiently, they will treat your home with respect while ensuring the job gets done right. Their pride, persistence, quality and determination are the characteristics that make VMA Electric, Inc one of the best and most reliable electrical contractor in the area. VMA Electric Inc. is built under one philosophy “Customer Satisfaction”. We understand that each customer has unique needs. Our services are tailored to meet each individual’s personality and style, ensuring that our clients get the best quality work and quality products. Developing long lasting relationships with our customers is very important to us, that is why we have such a high percentage of referrals. Our owner Victor Archila is personally involved in each project making sure you don’t have to cross your fingers and hope for the best. It’s going to be a good experience, we guarantee it! Fully licensed and insured, Tingley Electric is a full-service residential and light duty commercial electrical services company that provides indoor and outdoor installations, repairs and maintenance. Our experienced electricians use only the finest equipment and products so your satisfaction is guaranteed. From start to finish, initial estimate to final clean-up, Tingley Electric offers superior workmanship, attention to detail and courteous service. Founded in 2016 by Jeff Rubino, JMR Electric Group brings a fresh approach to an ever-changing construction industry. Over the past 14 years Jeff has directly worked on and managed numerous projects ranging from hospitals and banks to residential additions and remodels. He took what he learned over those years and developed his own unique style that results in an overall positive construction-experience for the customer. He feels strongly that communication is key in delivering an end result, on-schedule and on-budget. 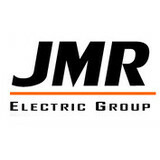 JMR Electric Group prides itself on meticulous craftsmanship and professionalism. Staying up on the latest technologies and cutting edge innovations helps separate this Group from the others. Whether you own a home or business or manage projects, JMR Electric Group is eager to meet your electrical needs and build lasting working relationships. Kuhlman Electrical Services in Peabody is a family owned business, that was started over 25 years ago by Gary Kuhlman. We employ only the most skilled electricians in the area, who are kept up to date on current codes, safety procedures and the newest electrical products. Our team of electrical contractors have the expertise to get your electrical work done right, the first time. Whether it's getting your home rewired, updating to circuit breakers or even just adding a light or two, our highly skilled electricians are here to help you every step of the way. Don't hesitate to ask us a question or inquire as to why a certain process has to take place. All of our electricians are friendly and knowledgeable. We want you to know just how special you and your project are to us, so we do our very best to ensure that you and your needs always come first. We even offer a complimentary estimate where we'll come out to you! AT PRO ELECTRICAL SERVICES, INC. WE PROVIDE ALL OF YOUR ELECTRICAL AND SECURITY NEEDS FOR HOME AND BUSINESS APPLICATIONS. SERVICE IS WHAT WE SPECIALIZE IN. WHEN YOU SCHEDULE A JOB WITH US, YOU WILL GET A UNIFORMED TECHNICIAN WHO IS LICENSED, INSURED AND HIGHLY SKILLED IN HIS CRAFT. WE HAVE RESPECT FOR YOUR HOME OR BUSINESS AS IF IT WAS OUR OWN. REST-ASSURED WE WILL COMPLETE THE JOB AND MAKE SURE OUR CLIENTS ARE SATISFIED WITH THE END PRODUCT 100% OF THE TIME!!! Puccio Electric is a mid-sized electrical contracting company with experienced staff who can handle all of your electrical needs in a neat and timely manner. Using our attention to detail and high quality service and installation, we hope to create a painless and improved customer experience. WIRED Electrical Contractors, has been in business since 2007. We’re pursuing excellence: from your initial consultation to our superior warranties and follow-through. Owned and operated by master electrician Paul Crowley, our team of trained and certified journeyman and master electricians provide MetroWest MA homeowners with quality craftsmanship, upfront pricing, and attentive responsiveness throughout every project phase. We are not a jack-of-all-trades contractor offering commercial, industrial, and other electrical services. Instead, we are a true residential electrician that puts 100% effort into each project. From switch installations to total home rewiring, no job is too small or too complex. Residential electrical service company - specializing in lighting design and installation. Here at Foley Electric, we pride ourselves on doing the job right the first time, on-time and within budget. We have been providing Electrical services on a personal level since 2008. DASECO Electrical, LLC, has quickly grown to be one of the leading electrical contractors on Martha’s Vineyard. With offices in Vineyard Haven and Cataumet, MA we service all of Cape Cod and Southeastern Massachusetts. Our objective is simple: to complete each project successfully and have every person involved glad that DASECO was chosen to do the work. We look forward to helping you with your electrical contracting needs. If you're upgrading your wiring or finishing a do-it-yourself project, having a reliable source of electricity or attractive lighting brings the whole thing together. Don't settle for faulty or dangerous electrical work. MTS Electrical Contracting LLC of Peabody, Massachusetts, use a licensed contractor and commercial electrician that provides services so you can enjoy your new upgrade or remodel without worrying about potential hazards or high electricity bills. Grillo Service Solutions, Inc is a full service electrical company with 16 years of high quality professional skilled work. 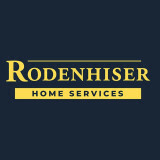 We have successfully served thousands of homes in Middlesex and Norfolk county. We pride ourselves on neat and cleanly appearance and workmanship. We value our customers satisfaction and we look forward to serving you ! What do licensed Framingham electricians do? An electrical contractor plans, installs and repairs wiring in structures. He or she works closely with the home’s general contractor or remodeling contractor to determine the specific electrical needs for the project and to ensure that the wiring will meet Framingham, MA building codes. An electrical contractor’s job also includes installing and repairing fixtures, switches and other visible components of electrical systems. With today’s technological needs and advances, many electricians in Framingham, MA also are trained to install fiber optic and coaxial cables for electronic equipment. Certain electrical companies may design and install data systems and wire for security features such as alarms too. Some Framingham electrical contractors specialize in specific areas, such as HVAC, low-voltage appliances and systems and more, so be sure to ask about their training to see if it fits your project needs. 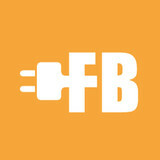 Find a certified Framingham electrician on Houzz. Narrow your search in the Professionals section of the website to Framingham, MA electrical contractors. Here are some related professionals and vendors to complement the work of electricians: Lighting Showrooms & Sales, General Contractors, Solar Energy Contractors, Heating & Cooling Sales & Repair.